The advance of the English language article-of-article commentary gathers ever more momentum. 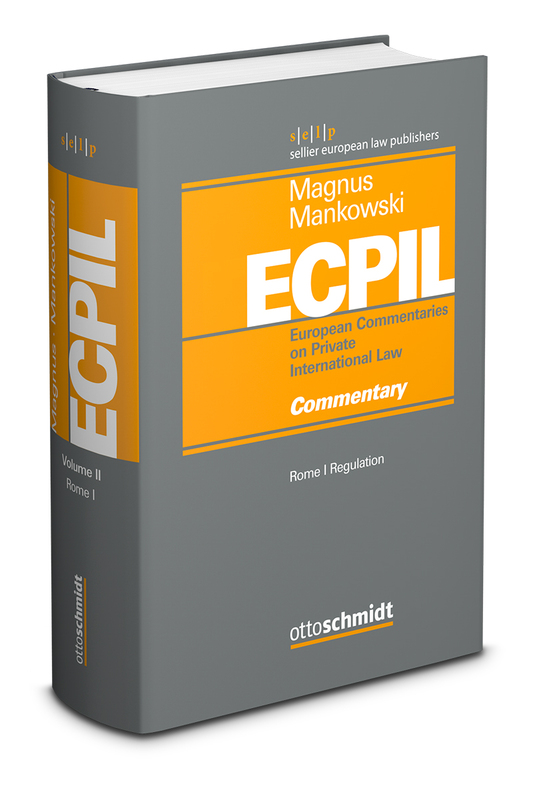 The series of European Commentaries on Private International Law (ECPIL), edited by Ulrich Magnus and Peter Mankowski, welcomes the publication of its second volume addressing the Rome I Regulation. It assembles a team of prominent authors from all over Europe. The result is the by far most voluminous English language commentary on the Rome I Regulation, the prime pillar of European private international law and the fundament of cross-border trade with Europe. Its attitude is to aspire at leaving virtually no question unanswered. Parties’ choice of law, the tangles of objective connections under Art. 4, consumer contracts, employment contracts, insurance contracts, form and all the other topics of the Rome I Regulation attract the in-depth analysis they truly deserve.